In a follow-up to last year's The Take Off and Landing of Everything, Elbow's released a four-song EP based on their hometown of Manchester. Lost Worker Bee makes for a lovely epilogue to this period of the band's existence, incorporating the best of their qualities while also diving into previously unexplored musical landscapes. The EP starts with the title track, a jangle tune filled with good vibes. Like the best Elbow songs, it feels like a slightly drunk hug, warm and friendly. The chorus lifts off, but doesn't feel the need to enter the stratosphere. Instead, it gradually builds further with each repetition, as glorious horns punctuate the soundscape, spread out over a bed of bubbling synths. And It Snowed sounds like a sleepier sequel to U2's New Year's Day, with icy piano notes and a pulsing bass line. While it's lyrically a simple concept (it's snowing in town), Guy Garvey's smooth delivery and imaginative wordplay ("Angels freezing in a city rose garden/Click their way back home/You've done your leaving/Livid in your splendor and alone") elevates it to find the beauty in the mundane. Roll Call is the best song here and an unique entry in Elbow's catalog. A rolling, rhythmic monster, this track makes you want to get in your car and drive on the highway as it plays on repeat. You can picture yourself speeding past forests, hills and cities, with infinity ahead of you. The gentle comedown from the previous track, Usually Bright is a low-key acoustic affair, with all the attention centered on Garvey's weary voice. "Hotel in my hometown/The saddest room I ever woke in/Try to enjoy yourself out there/The saddest words you've ever spoken," he sings, reflecting the bittersweet moments of life on the road, where your hometown is just one stop of many, and the world moves on without you. 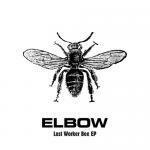 While Lost Worker Bee only paints an abstract picture of Elbow's life in Manchester, that actually works in the songs' favor. The details of the city matter less than what these places mean to the band members, something that is relatable for anyone. We all have a hometown. Whether we still live there to this day or have moved elsewhere, there's an irresistible pull and a comforting sense of familiarity that will always exist.